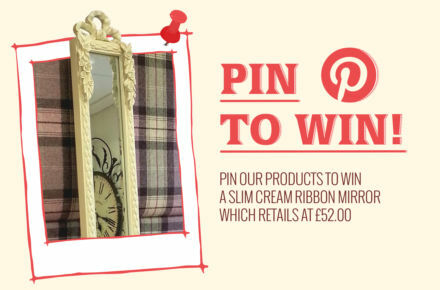 Pinterested in Winning a Stylish Mirror? Russkell Furniture are excited to reveal the details of a competition we will be launching on 25th February. 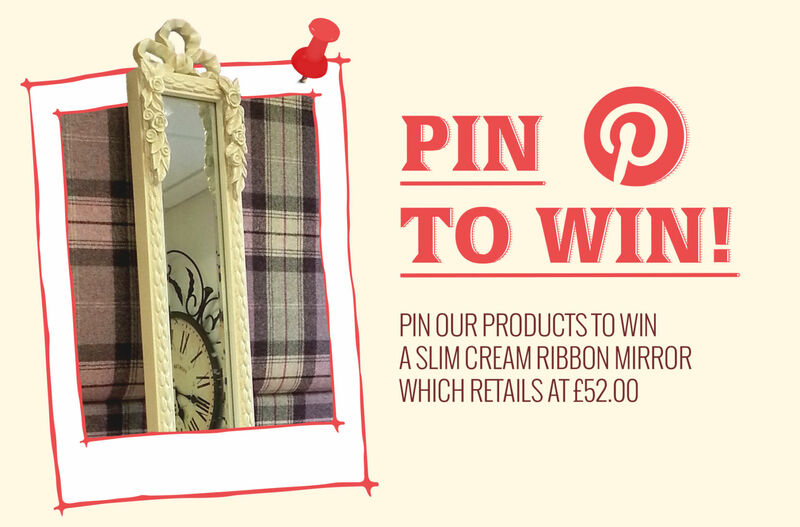 The prize is a stunning mirror that will grace any room and entering the competition couldn't be easier; simply click the 'Pin-it' button on any product to add it to a board on your Pinterest account. If you don’t have a Pinterest account, now is the time to sign up and start creating your unique ideas board! Pinterest is a pioneering visual discovery tool which allows its users to build up a collection of ideas; these collections are referred to on the site as 'boards'. Users can add any number of items to their various boards, which can be used to plan events, DIY projects, recipes and much more. The most popular category of board is home design, closely followed by art and craft, food and fashion. As Pinterest is a social networking site, users are able to share their own boards and also follow the boards of users with similar interests, ideas and aesthetics. Founded in December 2009 and launched soon after in March 2010, Pinterest is the brainchild of Paul Sciarra, Evan Sharp and Ben Silbermann. Thanks to its unique nature, the site was an instant success and, by December 2011, had become one of the top ten largest social networking tools, attracting a total of over 11 million visits every week. It was also during December 2011 that TechCrunch awarded the highly-coveted title of 'Best New Start-up of the Year' to Pinterest. We have added 'Pin-it' buttons to each product on our website, allowing you to add your favourite items to your Pinterest board with a single click. Here is an ideal way to create your own personal portfolio of items in an inspiring and practical way, before sharing your assembled board with family, friends and other Pinterest users. The gorgeous prize of the stunning Russkell Furniture Slim Cream Ribbon Mirror is truly exquisite, its narrow and minimal shape oozing charm, class and sophistication. A versatile aesthetic means that the mirror would work well in both contemporary and traditional settings and in a variety of interesting locations, making this a magnificent and desirable prize. You can of course pin as many items as you like to your board though only your first pinned item will count as an entry into our competition, which begins on Tuesday 25th February and closes on Friday 21st March. We would like to wish good luck to all entrants and we look forward to seeing your exciting and original Pinterest boards very soon! For more information on this competition or any of our eclectic range of luxury furniture, please contact a member of our team by calling 01254 773232 or email us at info@russkellfurniture.co.uk.